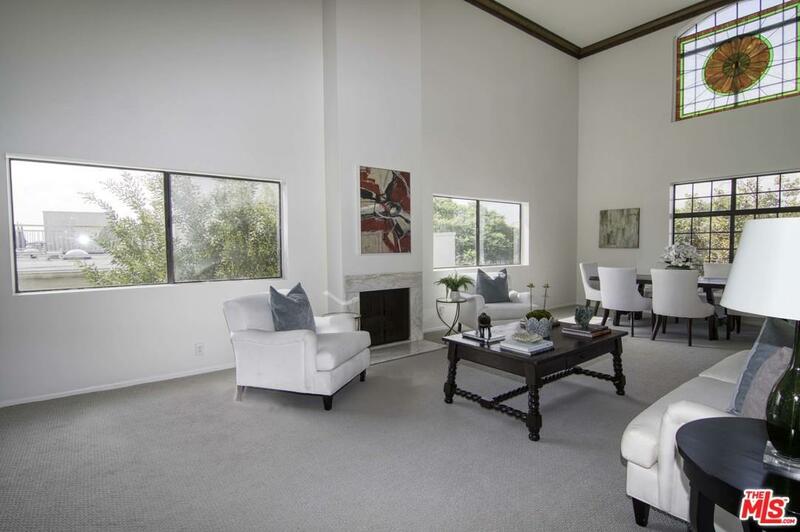 Top floor 2-level corner unit penthouse with a huge private upstairs patio located in sought-after Beverly Hills adjacent neighbor. 2 spacious bedrooms, 2.5 bathrooms, perfect for a live/work space, pied-a-terr~, or long term family investment. 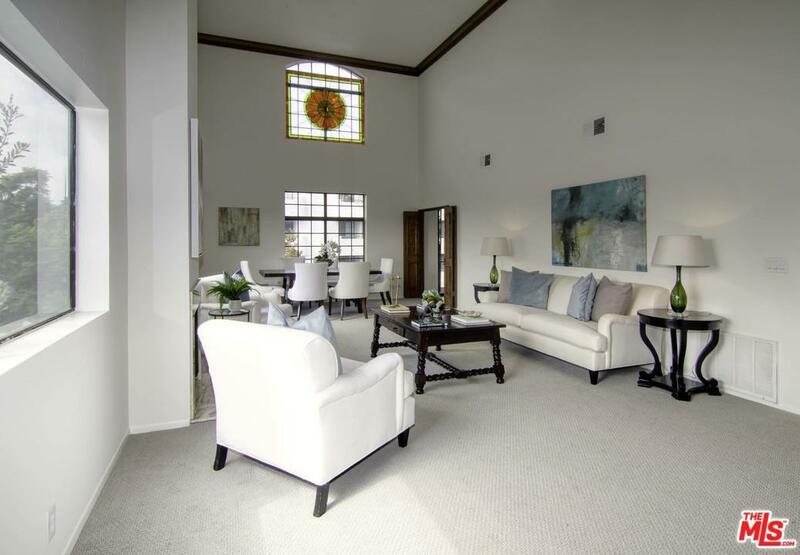 Grand room boasts soaring 20 ft ceilings, crown molding, recessed lighting, wet bar, and a fireplace perfect for entertaining family and friends. Tons of built-in storage in the eat-inkitchen with balcony overlooking a beautiful tree lined street. Well sized master suite features ample closet space and en suite bathroom with shower and separate bathtub. Large in unit laundry room with storage. Secure building with gated parking and 2 side by side spaces. Building amenities include a pool, spa, party room, and private storage closets for residence. One block away from thriving Robertson Blvd. 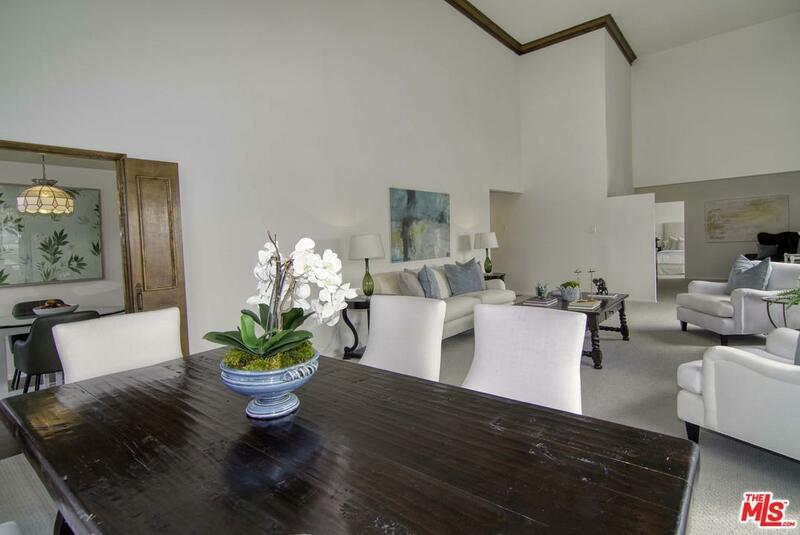 and only minutes to world famous Beverly Hills shopping and dining, renowned medical facilities. Sold by Jason Hastings BRE#01468494 of Pacific Union International. 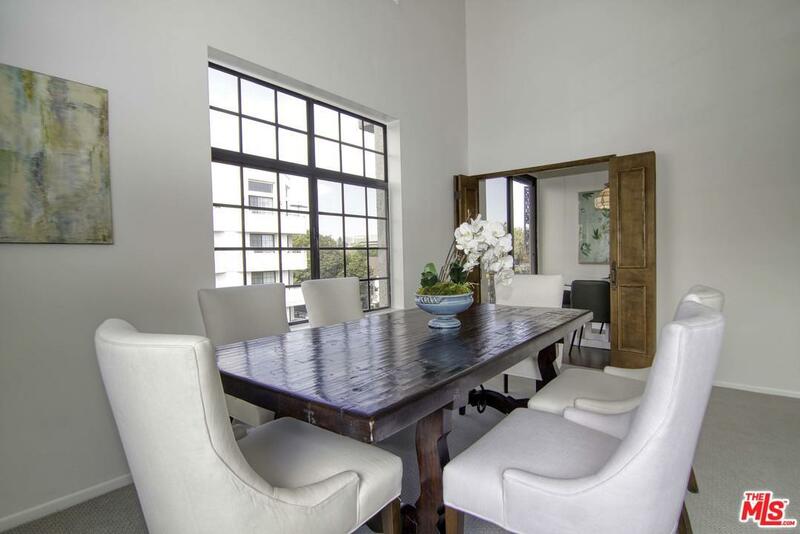 Listing provided courtesy of Sandra Miller DRE#01468494 of Engel & V~Lkers Santa Monica.